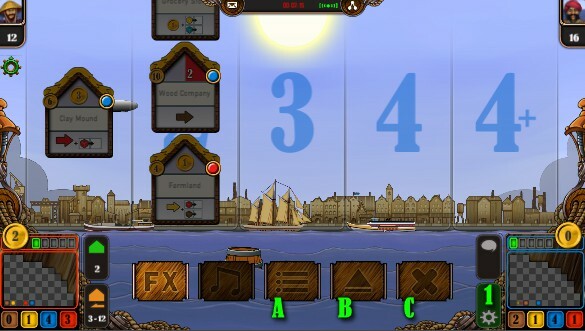 Dear readers, on this page we will show you some shortcuts that you can use during a game in Le Havre – the Inland Port. If you have questions that are not yet answered on this page, please feel free to let us know. We will then immediately update this page and share the new answers. 1 – Access the short cuts panel by pressing the menu button. 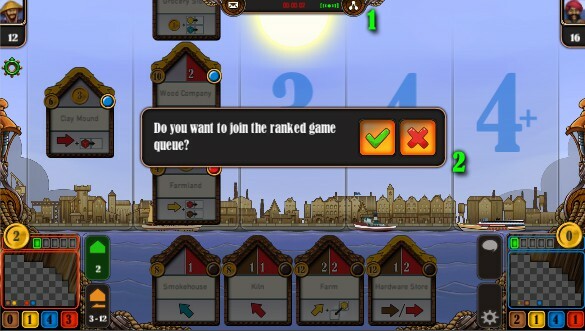 A: Exit to “Running Games” – This button will lead you directly to your running games window. You can easily check yout different sessions and see your remaining time. B: Exit to “Start New Game” – This Button will lead you to the start new game window. 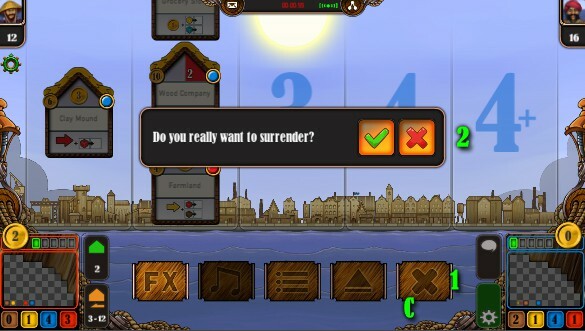 C: Surrender Button – By pressing this button you will end the game and surrender. How to surrender a game: 1 – Open short cuts panel and press the surrender button (C). 2 – In the now opening dialogue box choose yes/no to finish the request. Joining ranked game queue during a game: 1 – Press the Network symbol at any time and open the dialogue box. 2 – Choose if you want to enter the ranked game queue.